Les tarses sont emplumées jusqu'aux doigts chez cet aigle; les tarses du pygargue n'ont pas de plumes près des doigts. An adult GOLDEN EAGLE (at least in 5th or 6th year) during demonstration of Canadian Raptor Conservancy of Canada at the International Ploughing Match in Chute-à-Blondeau on 22 Septembre 2011. 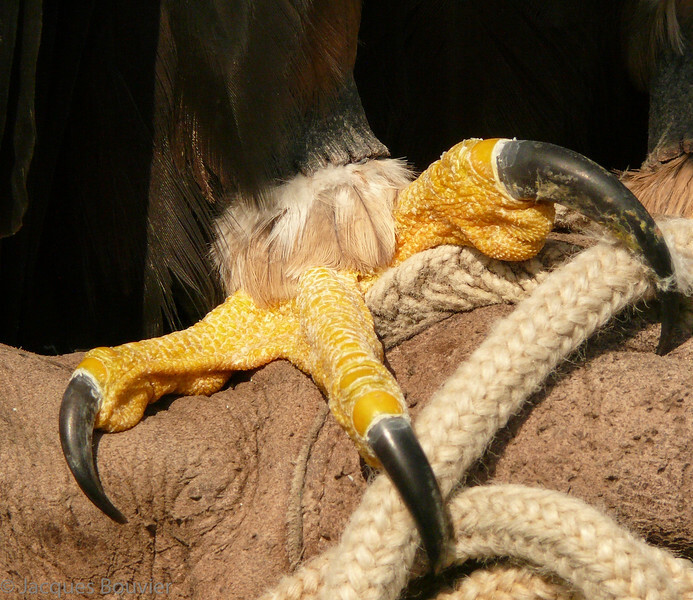 Legs of the Golden Eagle are feathered to toes while those of the Bald Eagle are not.